Is your life full of noise, activity, and chaos? Do you find your schedule packed and hectic? Are you struggling to find peace, quiet, and tranquility in your life? Do you long to hear God’s voice more clearly in your life? Most of us are living busy, hectic lives. Too often we push aside stillness and quiet, replacing them with more activity and tasks. I know there’s not much quiet in my house between two active kids, busy school and sports schedules, and the daily tasks of running a family. Yet, when I don’t take time for stillness, I begin to feel rundown, exhausted and stretched thin. I feel myself walking off in my own path, rather than walking in lock-step with God. One of the best ways I stay connected with God is to spend time in stillness. 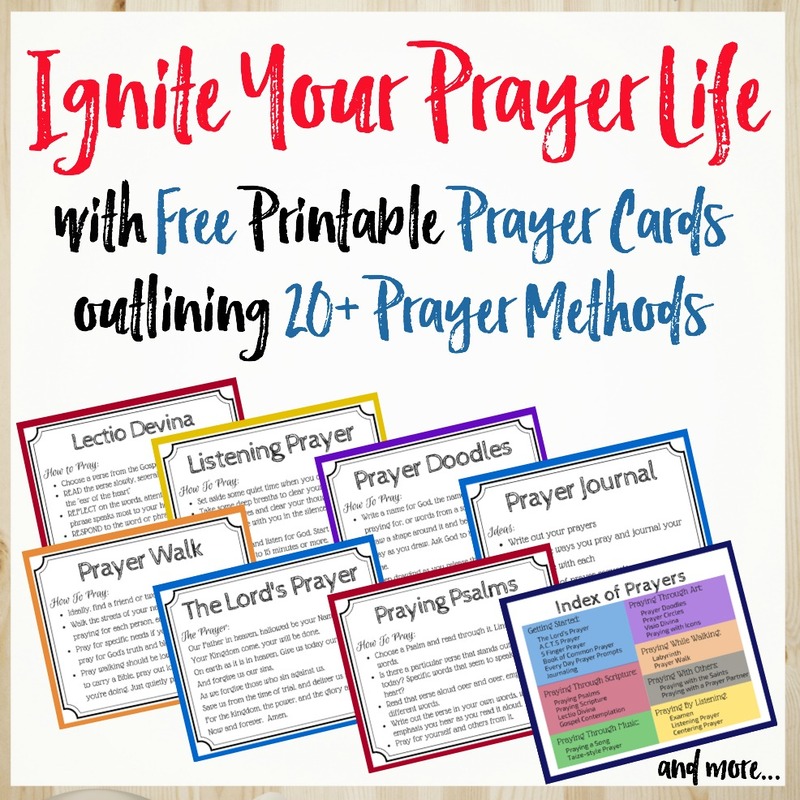 Spending time in the Bible and in prayer are great ways to stay spiritually connected, but all too often these become tasks to complete and I fill the space with my words instead of listening for God’s. When I take time for stillness, though, I focus on not doing, not speaking, not rushing ahead. I sit still and listen. I spend time just ‘being’ with God and He renews me. Stillness is where we step away from the busy of life and connect with God. It’s where we slow down for a few minutes and listen, truly listen for God’s voice. Stillness is how we stay focused on God’s vision for our lives and listen for His direction and guidance. Stillness is how we allow God to calm our restless hearts. If you’re not sure how to carve out this space and time to practice stillness, below are ten ideas to be still and listen to God. Try some of these contemplative prayer ideas today. Renew your relationship with God and calm your weary soul. Sit in the silence for 5 minutes, 10 minutes, 15 minutes. Use this time for listening prayer. Resist the urge to fill the space with words. Simply ease into the silence and just be. 2) Do some breathing exercises. Take the time to pause, breathe, and reflect. As your breath becomes relaxed and steady, settle in and listen. One of my favorite breathing exercises to help me settle into silence is to count backward from 50. Begin by counting backward from 50, one number on each inhale and exhale. When you get to 20, only count on the exhales until you reach 1. I’ve found this to bring an extraordinary calm and focus. 3) Take a walk around your neighborhood in silence. Go for a walk with no music, no telephone, no checking the internet. Just walk in silence, listening to the sound of the world around you. Allow you mind to drift into the steady beat of your footsteps and listen for God. 4) Take a long bath. Play some light music or just listen to the sound of the water. Allow yourself to relax into God’s presence. As your body relaxes, also allow your mind to relax and drift into stillness. Set aside your own thoughts and to-do lists and just listen. 5) Find a labyrinth near you and walk it. This is one of my favorite ways to be still with God, even in the movement of walking. Allow Him to speak to you as you journey. If you can’t find a labyrinth to physically walk, you can print one out or even follow one online for a virtual walk. 6) Practice stillness through art. Coloring and painting are great ways to pray and find stillness as you relax into the movement. Don’t worry about what you’re creating. Instead, create as a prayer and allow God to direct your paintbrush. 7) Doodle as you pray. Prayer doodling is my favorite way to pray through art. Linger over each person on your prayer list, drawing their name on a piece of paper and then doodling all around. Don’t fill your prayers with words, also lean into the prayer and listen. 8) Practice Lectio Divina and listen for God through Scripture. In your Bible time, take a small piece of scripture, even a single verse and linger over the words. Listen for how God is speaking to you through that scripture, turning the words over and over in your mind. Sit still and listen for His words. 9) Practice stillness through music. Instead of using scripture for your reflection as in #8, use a piece of instrumental music. Close your eyes and listen to it play over and over. Listen for words or phrases God places on your heart during this quiet time as the music plays. Allow the ear of your heart to connect to God. 10) Share your morning coffee or tea with God. Sit in silence as you watch the sunrise or enjoy a beautiful morning. Get up a little bit early, before the rest of your house, so you can have quiet time with God. Or, if you’re not a morning person, sit and watch the sunset with God, enjoy some quiet time outside at the end of your day, or lay under the stars. How Will You Practice Stillness This Week and Reconnect with God? Practicing stillness in my everyday, busy life is one of the most essential components of my relationship with God. I need to spend time just ‘being’ with God, to sit quietly and listen, to allow Him to renew my spirit and refill me with energy and inspiration. When I get too busy and neglect stillness, I can tell. I feel more run down and further from God. Don’t neglect stillness in your spiritual life. Make time for God – not just for talking, studying, and serving, but also for just sitting with him in stillness. Allow God to fill you back up and speak into your heart. I’d love to hear from you. How does stillness help in your life? What are your favorite ways to spend time with God? Want to dig deeper into stillness and find the power of being still in God, even amidst the storms of your life? Try 21 days of prayer focused on finding stillness in the storm. Find peace and calm in the middle of life’s chaos. Discover how to find stillness and Sabbath for your life and live into the rhythm of rest and restoration. Unlock the power of “be still” for your own life and learn to trust God’s plans. Learn more about Pray Deep: Finding Stillness in the Storm. Kathryn some great ideas. Have used most of them but never the labyrinth, art or doodling. I laughed at that. I’m not artsy at all and doodling while I’m praying would never work. I do lay in bed an pray many mornings. I had the same thought when I first learned about prayer through art. I’m terrible at art! But it’s actually one of my favorite ways to pray now ? Oh Kathryn, you’re a girl after my own heart! I saw this title at Kelly Balarie’s, and I should have KNOWN it was you! Sharing this later, pinning and tweeting now. So good. I especially like ideas #1 and #8. I really want to grow in learning to still myself before God and LISTEN. Yes, of course I’m talking about stillness 🙂 maybe because there’s so little of it in my house – ha! Thank you for sharing! I think seeking stillness is a lost art in our busy, pushing-productivity culture. Over the past few months, as I’m recovering from my ACL surgery, my life has slowed down, and I’ve sought stillness. I’m not always good at it, but I’m trying to be more intentional about this art. 🙂 I love coloring in an adult coloring book and praying. Your suggestions are all good. I hadn’t thought about all the different things we can do to get still and listen to the Lord. Finding stillness is an area where God has parked me for the past year. Guess I really need to slow down 🙂 I’ve loved finding different ways to incorporate stillness into a busy life – and keeping it varied helps me to really focus. I really like this! Really good ideas! These are such great tips, Kathryn. I do some of these already but I can see myself trying #3 (neighbourhood walk) and #9 (listening to music). I love that there’s something here for everyone and I can’t wait to share this on Pinterest and on my FB page! Kathryn, These are great tips. I really struggle with stillness. Reading the Word, studying, praying, doing . . . I’m good but being still with God is so hard. My mind always takes off in a million different directions. So, I really appreciate these tips for helping to clear my head so I can just be still and listen. Thank you for this! It blessed me this morning! I heard someone share recently that she found stillness in the heat and noise of her blacksmith shop. Love that God will find us where we are and in the things that He’s created us to do best. Fantastic Philip Yancey quote! I know that I need that “rift” in order to see the need for stillness. Thank you, Kathryn. So true! I do and encourage others in many of these too! Be still and know I am God! We can’t follow if we don’t listen first! Love this & will share your similar thoughts! I hear you on the luxury of quiet time! Often I find if I slow my body down too much, I’ll fall asleep ?. I need more active forms of stillness. Doodling has been the big surprise for me. I’m not artistic at all, but I’ve really found a connection in doodling. Kathryn, I LOVE, LOVE, LOVE this! I do believe we may be kindred spirits! These are all absolutely wonderful ways to be still. I’ve been art praying for over a couple of years now and it is one of my favorite ways to be still. These are great ideas! I’ve used all of these at some time or another, and walking or music prayers are some of my favorites. Or just sitting in stillness before everyone else gets up! Thanks for reminding me of all these! Hi Kathryn, this is my first time reading your blog. I needed to read this as I am in such a stressful and painful season, I just need quiet. Thank you for the reminder and the tips. I have recently started coloring, it is very relaxing. Thanks again for this simple yet important message. Be still and know that He is God!